BRAZIL TALISMAN: Neymar buckling under weight of heavy expectations? 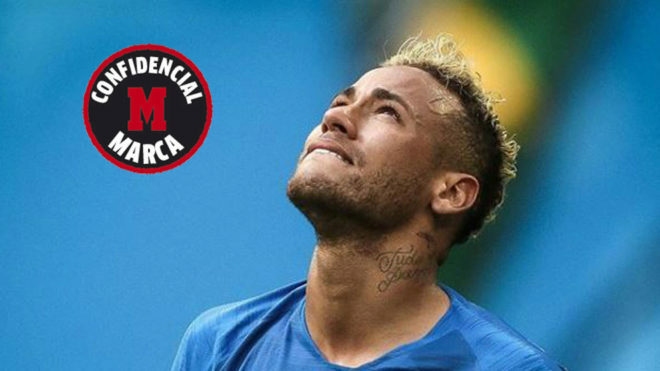 The strain of carrying a nation’s hopes and dreams on his shoulders seemed to get to Neymar on Friday, as he broke down in tears on the pitch after Brazil’s 2-0 victory over Costa Rica. The 26-year-old is under intense pressure and, in order to help him cope with this burden, he has been receiving advice from Ronaldo Nazario. Ronaldo knows what it’s like to be in Neymar’s position, given that he went through similar experiences in 1998 and in 2002, experiencing tremendous heartbreak in France and then incredible joy in South Korea and Japan. The pair have been friends for several years and are regularly talking to each other during this World Cup, speaking face-to-face the day before a match. Ronaldo’s visits to the Brazil camp have become regular, with the legendary striker greeting the whole squad and then spending some private time with Neymar. As well as this, Ronaldo has been publically backing the PSG star during his appearances as a pundit for O’Globo. “We cannot forget that Neymar is just back from a very significant foot injury and that he is regaining his confidence right now,” he said at the end of the Costa Rica win. “I am sure that his goal will help to boost his morale and that things will go better for him now. “He is trying everything, as he dribbles, runs, fights and looks for solutions. Neymar’s father is also offering support to the player and has regularly been visiting the hotel. In fact, Neymar Sr. even has official Brazil team accreditation, rather than being listed as a fan like most other player relatives are.